In this country, there are more than a quarter of a million Freemasons within the United Grand Lodge of England. Worldwide, that figure rises to six million, all with their own special reasons why they enjoy Freemasonry. For some, it is a way of making new acquaintances, some of which grow into lifetime friendships. For others it is about helping deserving causes, making a contribution to family and society. But for most, it is an enjoyable hobby. Freemasonry is one of the world’s oldest and largest non-religious, non-political, fraternal and charitable organisations. Its values are based on integrity, kindness, honesty and fairness. Members come from all walks of life and meet as equals, whatever their religion, race or position in society. Members learn moral lessons and self-knowledge through participation in a progression of ceremonies, which are learnt by heart and performed within each Lodge. These follow ancient forms, and use stonemasons’ customs and tools as allegorical guides. When he enters the organisation, every Freemason embarks on his own journey of self-discovery. The Lodge provides a place of harmony and tranquillity, where he can push himself to his limits or find a quiet haven in an increasingly complex world. He can progress, at his own pace and choice, through junior roles to senior positions within the Lodge. He will receive the constant support of his fellow members to help him achieve the potential within his own talents and to make a success of his own life. Each promotion brings greater understanding and responsibility, leading to increased self-esteem and confidence. 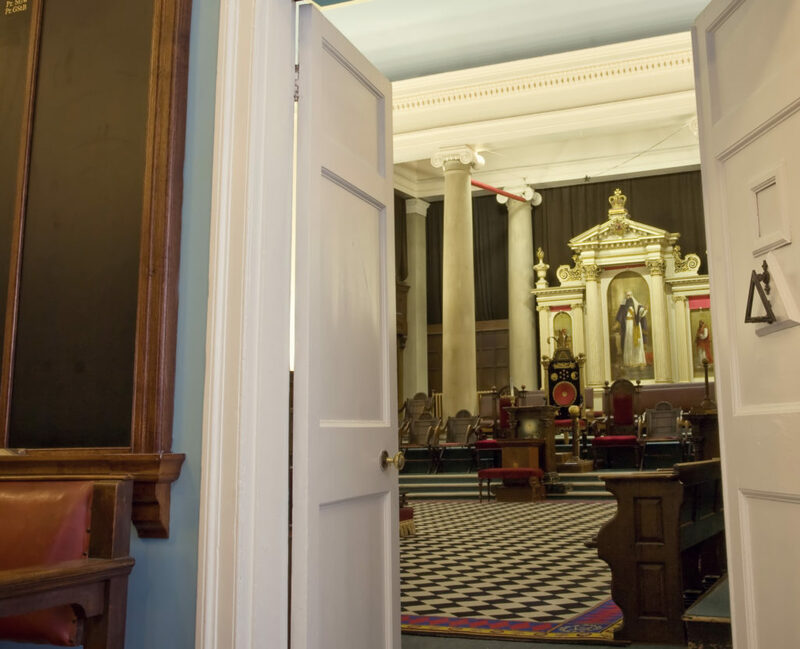 There are no closed doors in Freemasonry and members are encouraged to speak openly about their participation. Anyone can visit the headquarters at Freemasons’ Hall in Great Queen Street, London, and Lodges throughout the UK regularly hold open days for anyone interested in discovering more about the organisation. From its earliest days, Freemasonry has been concerned with caring for those disadvantaged by circumstances beyond their control. This work continues today through members playing an active role in their own communities. Since 1980 over one hundred million pounds has been granted to national and local charities via The Freemasons’ Grand Charity, which also responds to natural disasters that occur anywhere in the world. We do not undertake any external fundraising, all money donated coming from our own efforts. During the Province of Somerset’s most recent completed Charity Festival, local members raised over £2.6m for the Royal Masonic Benevolent Institution, which maintains seventeen care homes across England and Wales. To find out more about our charity work, please click on any of the links in the sidebar on this page. Freemasonry is more relevant to society today than ever. It encompasses and embraces all of the fundamental principles of good citizenship. This instils in its members a moral and ethical approach to life, urging them to regard the interests of the family as paramount. It also teaches and practices concern for people, care for the less fortunate and help for those in need. 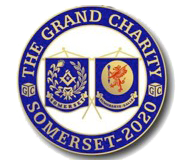 The Somerset Masonic Charities provides funds on behalf of the Province of Somerset to voluntary organisations within Somerset. An Application Form to enable and assist any prospective organisations seeking funding can be downloaded from the Provincial website by clicking this link For more details about the SMC click the image above. Teddies for Loving Care raises funds for the supply of cuddly toys to NHS Accident & Emergency Units. Since 2001, over a million teddies have been given to children in severe distress. Click the logo above to find out more. All Provinces take it in turns once every 10 to 12 years to support the central Masonic charities by running a Festival. We are supporting the Freemasons’ Grand Charity in 2020. Find out more details by clicking the image above.